Pack 45 relies on this fundraiser for its annual operating budget (beyond Scout registration fees). We use the money collected to rent activity space, reduce out-of-pocket costs for Scout events, provide supplies for events, and to provide training for our leaders. Scouts earns credits for each popcorn product he sells. In past years Scouts, have been able to apply these credits to earn refunds on registration fees, camp fees, and other event fees. Also, the amount of popcorn he sells may qualify him for additional prizes directly from Trails-End. There are gift cards, prizes and college scholarships, all based on the quantity sold. A portion of the popcorn sales go directly to the Garden State Council. The Council uses these funds for their annual operating budget, just as the Pack does. The Council directly supports the Pack by providing "paperwork" support (registrations, advancements, recruiting), running the local Scout camps, and Council-sponsored events. Pack 45 has worked with local businesses to get approval for us to sell popcorn at their establishment during specific dates and times. The Scouts setup a table at the business, and have the popcorn ready to sell directly to customers. Show and Sells are not only a great way to sell lots of popcorn, but they allow our Scouts to interact with the community. It's usually a fun time for the boys! The first Scout selling at a location during the day will need to pick up the products, a table, and envelopes for keeping collected money. The last Scout selling at a location must return everything. Detailed instructions will be communicated to you when it is your turn to sell. All Scouts must wear their Class A uniforms when selling popcorn at a Show and Sell, and must be accompanied by an adult. Scouts can pick up products from the Pack, and then take the products with them as they sell door-to-door (i.e.,the "little red wagon" method). The Scouts collect the money as they sell, and then return all unsold product and collected money back to the Pack. All Scouts must wear their Class A uniforms and must be accompanied by and adult when selling popcorn door-to-door. To make arrangements to pick up products and sell door-to-door, please get more information from your den leader. Scouts can take orders on an order form supplied by the Pack. The form and money is turned to the Pack and the popcorn is then ordered for the Scouts to deliver at a later time. This method is great for house-to-house selling. The order form is also great for parents who want to bring the form into their workplace for added sales (remember, sale proceeds directly benefit your Scout). Scouts may collect the money as they take orders, or they can collect the money when they deliver the products. However, we recommend taking money up front, as you are responsible for paying for your order in full when turning in the order form. Scouts should wear their Class A uniforms when selling popcorn door-to-door. Also, Scouts should always be accompanied by an adult. Scouts can sell popcorn expand their customer base when they sell online. By sending emails to friends and family who live far away, Scouts reach customers who they otherwise would not be able to sell to. Selling online also eliminates time-consuming deliveries. Scouts need to set up their own account on www.trails-end.com. 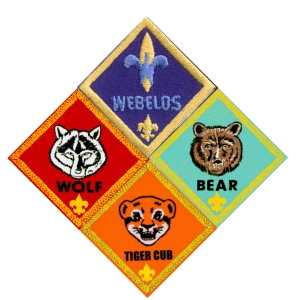 All online sales go to the Pack and Council in the Scout's name, and Trail’s End ships the product directly to the customer.